Flower photography equipment. What you need for the money you've got! What photography equipment do you need to take great flower photos? I emphasize “need” because if you're like me, my wants FAR exceed my needs! And my budget. And besides, you might be surprised to hear that the photographer is far more important than the camera and all the bells and whistles... but it's true. Don't believe for a minute that you need expensive or complicated photography equipment to get awesome flower and garden photos. Learning how to use your camera doesn't need to be complicated and frustrating! Looking at a camera body and lens from various angles. This image shows the sides, back and front with all adjustment switches and buttons. Whether you shoot film or digital, an SLR camera body and lenses come with almost the same bells and whistles - with a few discrepancies. How many things you get to adjust before you can actually take your picture. How much you have to learn to make all the necessary adjustments effectively and efficiently. How creative you can get with your camera. How much money you'll have to fork over for your photography equipment. And a word about your camera manual. Don't lose it, don't put it away in a closet! It's your constant companion -- your bedtime reading -- a most important piece of photography equipment. But much more on that later. 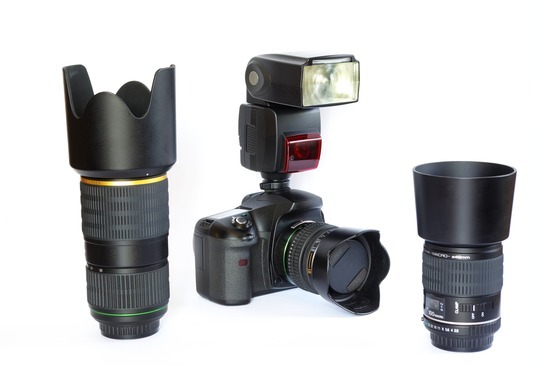 3 camera lenses, a camera body and a flash unit. You may only need one excellent quality lens depending on what you like to photograph. My ex-husband used to say, “Glenys, you gotta' be smarter than the equipment you're operating!” He was in the military but it seems strangely appropriate when applied to photography, too! A camera that sits in the closet because you're afraid to use it, isn't very useful to you! Your goal -- get a "user-friendly" camera you can afford and enjoy! Point and shoot cameras have permanently attached lenses. You can't change lenses if you're not happy! On the other hand, they're simple to use and the quality of these cameras just gets better and better. An SLR (single lens reflex) has two separate pieces, the camera body and a detachable lens. Many professional photographers say they use two or three of their numerous lenses on a regular basis! If you decide to invest in another lens, make sure you'll use it! Both types of cameras have a range in prices, according to their brand name and model. Lenses also come in various prices. Often you must use the same brand name on your camera body. You won't use a Canon lens on a Nikon body. But you can often buy a similar lens made for a Canon or Nikon from another company, like Tamron or Sigma and you'll save a bundle. When you purchase a camera body, the camera is offered with a lens. These lenses are only average quality and you may want to buy the camera body and choose a better quality lens. Talk to the sales person and see what discount you can get with your lens of choice. By the way, professional photographers use both kinds of cameras! Surprised? A great photographer will take a super picture with any camera. And a bad photographer will take a poor photograph even if she uses the best camera money can buy. 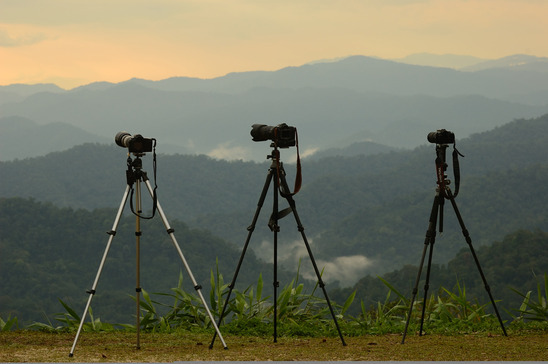 After your camera and lens, a tripod is the single most important piece of photo equipment you can buy. I guarantee your photography will improve by leaps and bounds if you use one. Sure, tripods are a pain to carry around but the results are worth it. Camera tripods are essential photography equipment. Get the best, most stable one you can afford. My hands, your hands - old or young. They shake! Just a tiny bit. We don't usually notice - but the camera does. Surprisingly, we call this camera shake. On a bright sunny day - not so bad. But dull, cloudy or dark days - ugh! Less light > the shutter has to stay open longer > we have to hold the camera still for longer. Not without a tripod! And a close up of a flower or a butterfly - an impossible feat without a tripod. How about your horizons? The earth usually tilts about 25° and you're tired of fibbing to your friends that you planned it that way. Tripod to the rescue! These 3-legged marvels clear up so many problems. They're a must-have in your collection of photography equipment. But if you do find yourself without one, I can give you tips to improvise. If you want to know more about tripods, go here. Filters screw on to the end of the camera lens. Light passes through the filter > the filter changes the light > changed light travels down the lens. Voila! The picture is transformed in some way. Learn a bit about light and color. Then you'll understand how filters work and which ones you'd like to try! Buy one or two and add a little pizazz to your flower and garden photography. Ultraviolet filters - they cut glare and some photographers always leave them on to protect the surface of the lens. Polarizing filters - for those pesky reflections in windows or on water surfaces and also to deepen colors. ... the two filters I'm never without! 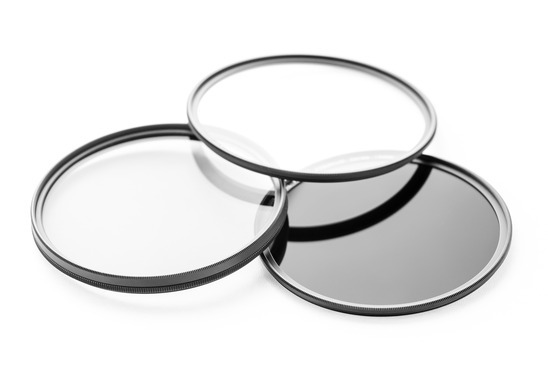 Camera filters can be protection for your camera lens (UV) or have special uses like the polarizing lens or graduated neutral density filters. It takes money to expand your collection of photography equipment. Check with your photo shop and see if there's a local annual sale of second hand photo equipment. Photographers and photo shops get together and offer great deals on used photography equipment. These sales are great places to get filters. But examine them for scratches or other damage before you buy. If you're looking for lenses, be a careful customer. Check that it hasn't been dropped. Look for dents or scratches on the glass. Ask the vendor if you can take a few pictures - assuming you have a digital body with you. Don't be shy, ask why it's for sale. Remember, when buying second hand photography equipment, it's buyer beware. 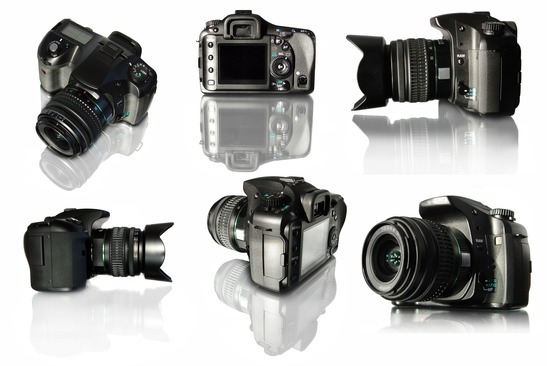 As for camera bodies - my personal choice is a photo shop with a solid guarantee. It's a large investment. But you might decide that the second-hand price is worth the risk. And make sure that your MANUAL comes right along with your camera! That goes for lenses, too! If you can find one, these sales are fun and educational! So enjoy yourself, whether or not you buy anything. 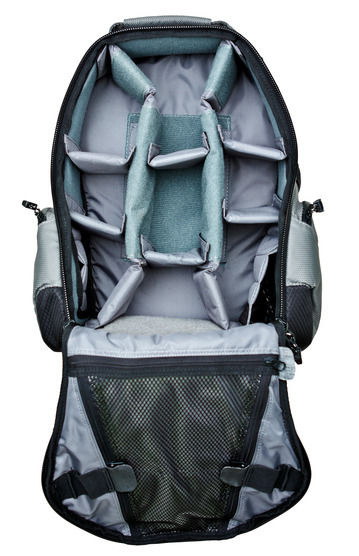 View of the inside of a camera backpack with dividers. Padded dividers protect lenses and camera bodies from bumps and makes carrying a lot of equipment more comfortable. When they first appeared on the scene - they were expensive! But now, there's one made just for you at a price you can afford. If you're spending entire vacations - or even just Saturdays - hauling your photography equipment around with you, you'll be so grateful the first time you pack up one of these and go. All your photography gear has you feeling a little like a pack mule? Time for a camera backpack. Want to know more about photography bags and backpacks? If you looked over the Botanical Garden page, you'll remember I promised a knitting pattern for my cool photography mitts. They don't exactly fit the definition of photography equipment. Still, I couldn't get through a cold day carrying a tripod and handling my camera without them. This is where you'll find them. There are all kinds of weird and wonderful things that photographers find useful. Can't really fit them into a specific category. You're welcome to inspect my list. You might find some useful stuff to put to good use. Truthfully, my list isn't all that extensive... when you're traveling a lot, less is best. So I beg you to send me your valuable gems of information to add to my photography equipment list! Bless you for sharing. Here are a few of my interesting bits and pieces. My favorite knit convertible mittens. Very cool camera straps! Type “camera straps” in the search at the top of the page - mine are Bonecalinda. How fabulous are they? Super accessories! Ditch your uncomfortable standard black strap that came with your camera. You'll never go back after one of these. The heavier your camera and lens, the more you'll appreciate one of these shoulder straps. Etsy.com is an online store for all things handmade. Give it a good look-over. A digital version of the “gray card” used in 35 mm film photography. Find it here: http://www.photovisionvideo.com/otb-universal-softbox/ These white/gray/black targets come with an instructional CD. The back side is a silver reflector and I use it even more than the calibration side. It twists into a small pouch so it's light and easy to pack with the rest of your photography equipment. Get a WhiBal (white balance reference) at: http://michaeltapesdesign.com/ Shoot one picture of your photo session that includes this card. When batch editing in Adobe Camera Raw, adjust the white balance of the entire shoot. Use the white balance adjustment dropper, click on the gray card! Presto - the white balance adjusts in all your RAW captures from that shoot. How cool is that? If you use Lightroom or Adobe Camera Raw, download the OnOne free presets as well. You may decide to step up to their pro software if you're a serious photo editor.